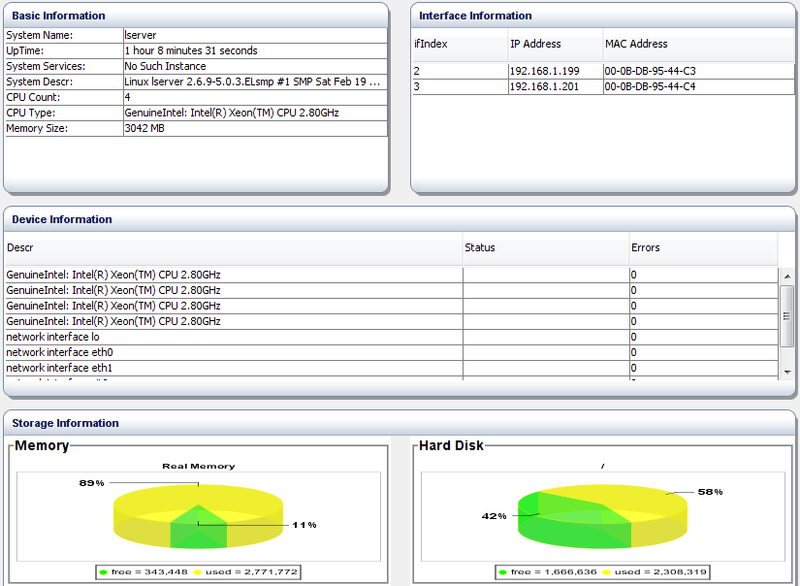 iReasoning MIB browser is a powerful and easy-to-use tool powered by iReasoning SNMP API. MIB browser is an indispensable tool for engineers to manage SNMP enabled network devices and applications. 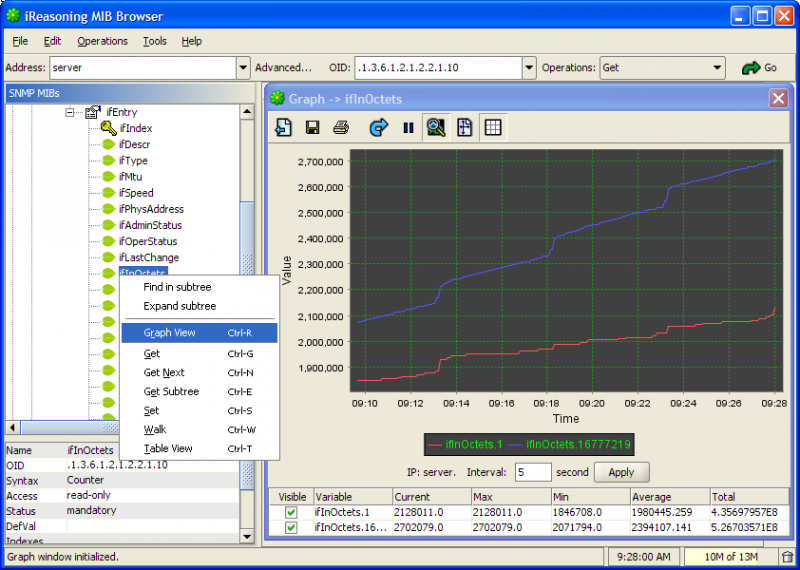 It allows users to load standard, proprietary MIBs, and even some mal-formed MIBs. It also allows them to issue SNMP requests to retrieve agent's data, or make changes to the agent. A built-in trap receiver can receive and process SNMP traps according to its rule engine.